Do the Facts Really Matter? 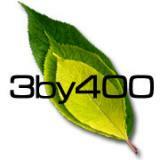 In a month, 3by400 receives at least three or four calls from people who have the "best idea for a new web site". About 1% of them really do have a great idea for a site. The rest, unfortunately, failed to Google their thought before running headlong to web site design. That 1% is worth the others...so how do you decide if your concept is truly a great new entrepreneurial idea? With all of the "Go Green" messages in the marketplace, we are frequently asked to help businesses minimize their dependence upon resource-draining practices, such as consuming reams of paper and contributing the depletion of fossil fuels, as well as an increase in pollution. Our approach is one of improving your efficiency/productivity through technology and being a good steward of the resources on earth. There are numerous ways to both improve efficiency and productivty using very simple technology implementations. For assistance implementing these technologies, please contact us!